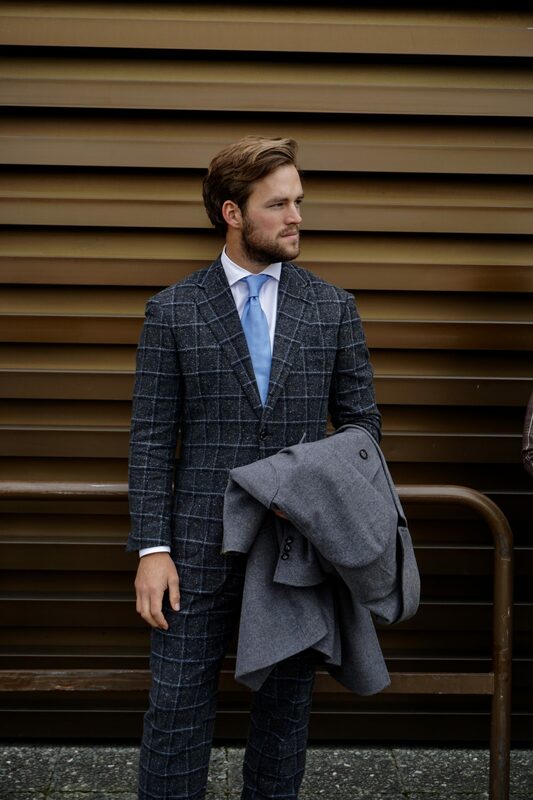 Here is my second instalment for Pitti Uomo #95. 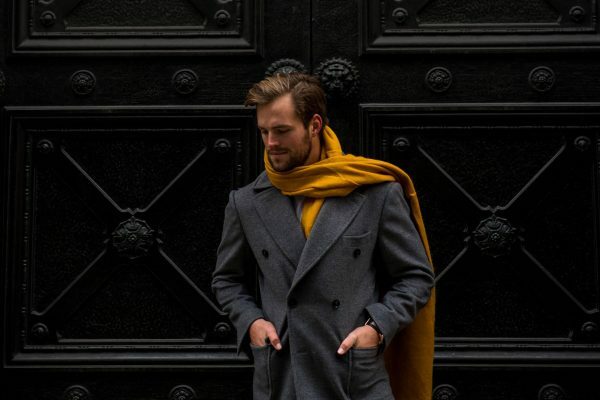 I also had the pleasure of dressing Melbourne man about town and influencer, Callum Rowe. 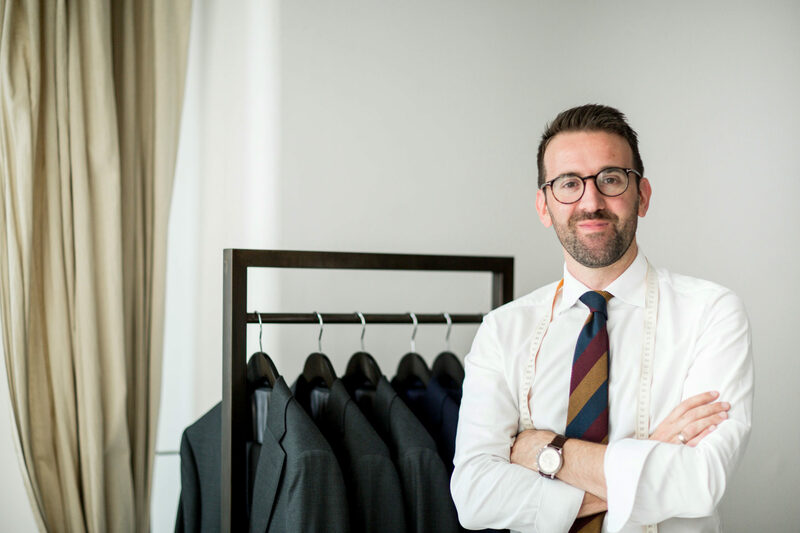 When Callum first mentioned he was going to Florence for Pitti and wanted to make an memorable appearance, I knew we couldn’t go past Lanificio Ricceri. 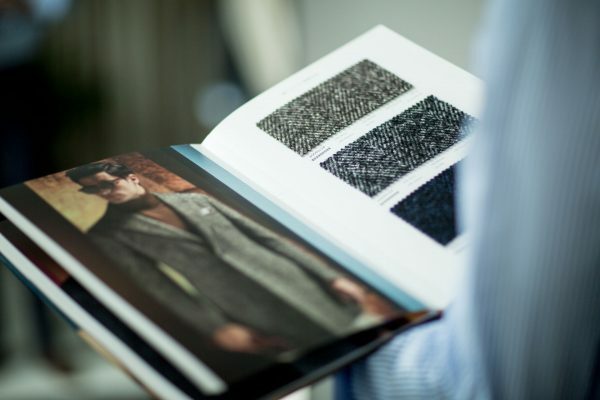 Ricceri is an iconic Tuscan textile mill known for the high end luxurious cloth, often seen in some of the most famous fashion houses across Italy and France. 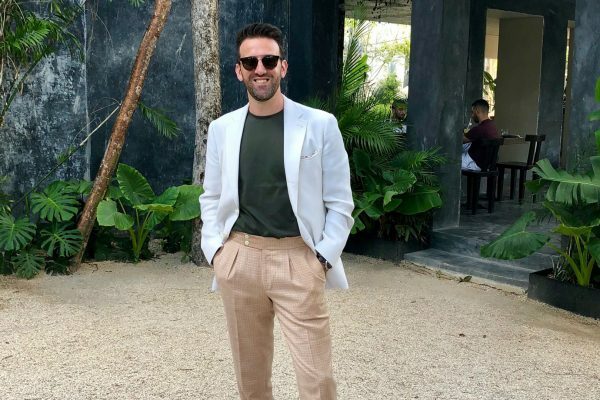 I was very fortunate that Callum was so flexible and open minded to what he was going to wear for his debut on the international stage of Pitti. 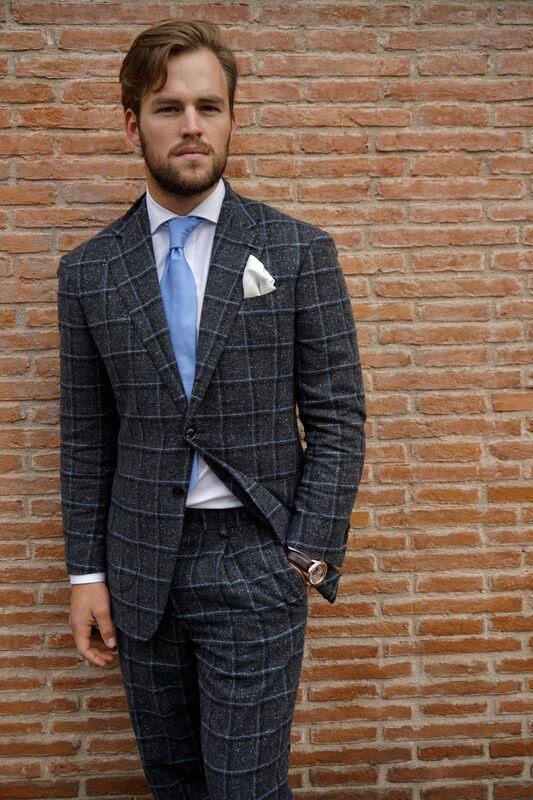 I had seen this amazing boucle style cloth a few months ago and was just waiting for the right opportunity to recommend it. 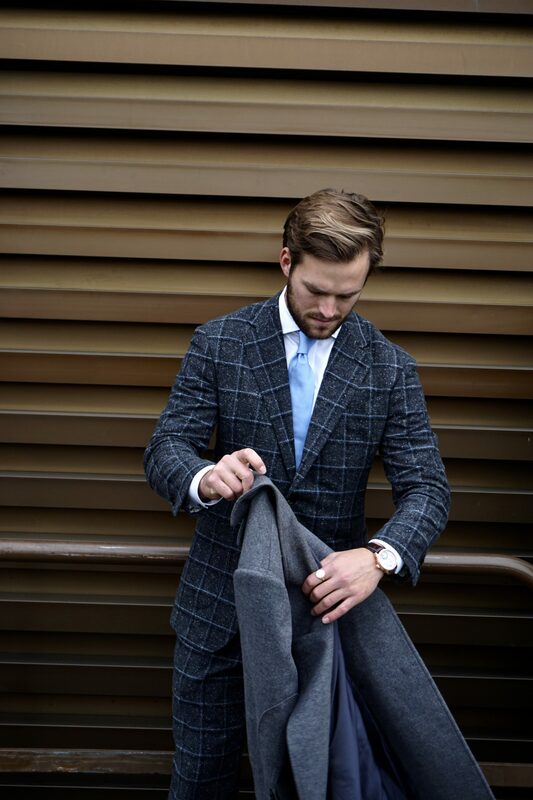 The cloth has subtle white specks all over it, giving quite an astral appearance but the best thing about it is the bold blue window pane check across the charcoal based boucle weave. 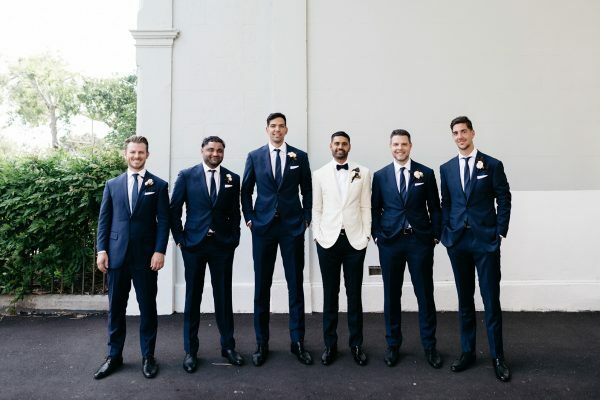 Callum’s first Carl Navè made to measure suit was quite classic with its detailing, we felt the cloth should do most of the talking, however the tailoring certainly displayed all the finery I like to employ in all of my suits. 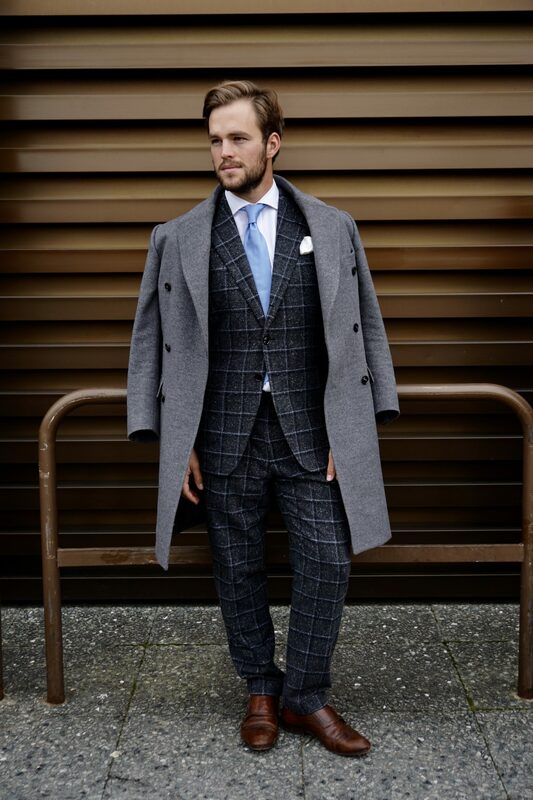 A 9cm notch lapel with a “three-over-two” buttoned jacket ensured that this Australian number would fit right in amongst its Italian counterparts. 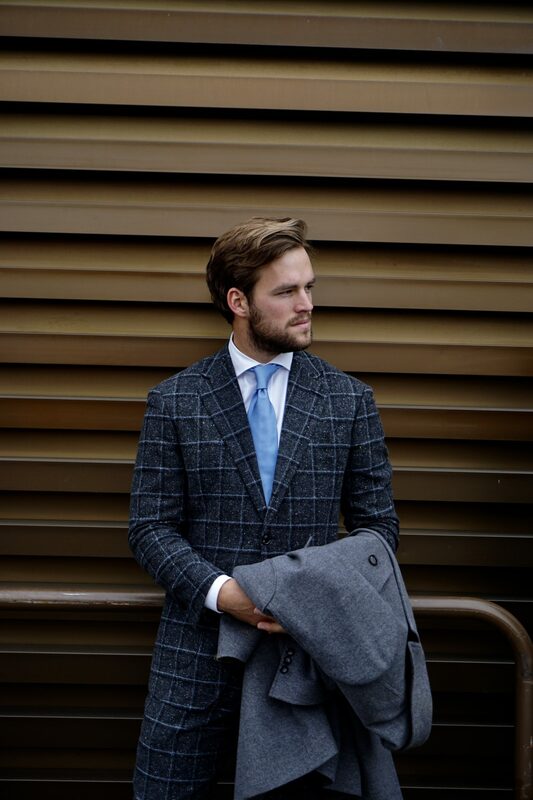 For Callum’s overcoat we chose a hefty wool cashmere blend in a light grey with almost a blueish hue. 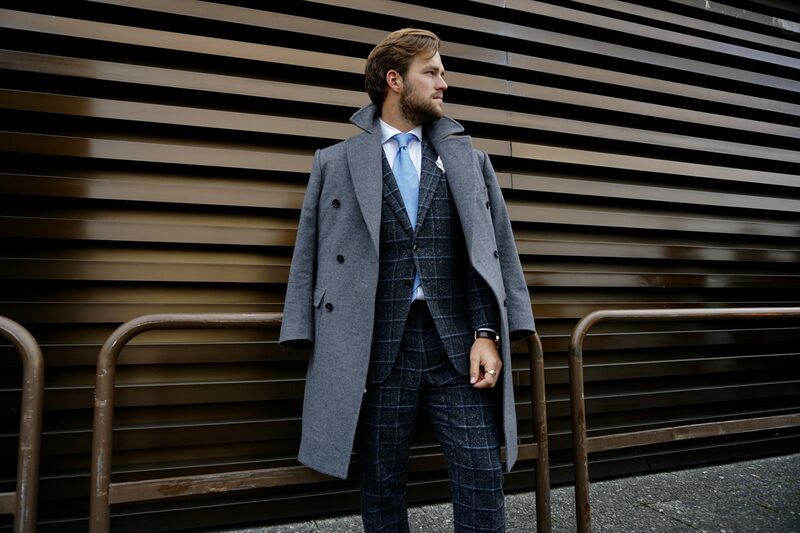 The custom made overcoat had references to a military style jacket, with double breasted buttoning and a large Napoleon style collar. Roped shoulders gave the appearance of authority and stature whilst the patch pockets are functional and utilitarian. I used a dark brown horn button for a bit of contrast and added a buttoned centre vent at the rear of coat for a bit of extra special detail. 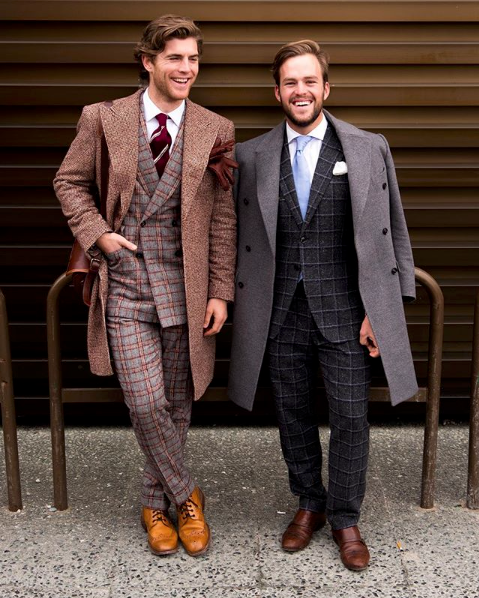 I love the way the coat sits over the top of the suit and how the tones, texture and pattern of the two garments compliment one another.